MISSION, KS--(Marketwired - Sep 12, 2016) - (Family Features) Sleep is essential to maintain a healthy lifestyle, but sleep problems -- such as sleep apnea -- can hinder sleep quality and lead to other severe health complications. Sleep apnea is a serious breathing disorder that causes you to snore loudly and stop breathing up to hundreds of times a night for anywhere from 10 seconds to more than a minute. 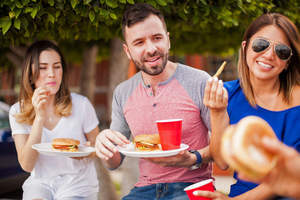 According to the American Academy of Dental Sleep Medicine (AADSM), approximately 25 million adults in the United States suffer from this disease. What many people don't realize is that in addition to being a nuisance at night, sleep apnea also is a contributing factor to several other health problems. 1. 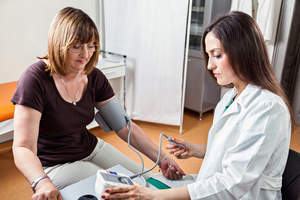 High Blood Pressure - Thirty to 40 percent of people with high blood pressure, and up to 85 percent of those who have treatment-resistant high blood pressure, have sleep apnea. Research shows that when sleep apnea is treated with oral appliance therapy, blood pressure can be reduced. Oral appliance therapy is offered by select dentists and uses a custom-fit, mouth guard-like device to support the jaw in a forward position and keep the airway open, without the need for a mask or constantly running CPAP machine. 2. Heart Disease - A study from the University of Wisconsin found that sleep apnea is common in people who have heart disease. The study also shows that those who suffer from untreated, severe sleep apnea may be five times more likely to die from heart disease. 3. Depression - Researchers at the Centers for Disease Control and Prevention found that men who have been diagnosed with sleep apnea are more than twice as likely to exhibit signs of clinical depression, such as feeling hopeless and uninterested in everyday activities. The study also found that women who were diagnosed with sleep apnea were five times more likely to report symptoms of major depression. 4. Erectile Dysfunction - Men with sleep apnea commonly suffer from erectile dysfunction and overall sexual dysfunction. 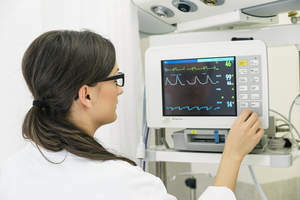 In a study conducted in Germany, researchers found that this relationship may be due to the repetitive drop in blood oxygen levels that occurs during sleep as a result of sleep apnea. 5. Acid Reflux - It has been shown that people who have sleep apnea often suffer from acid reflux, which can increase sleep disruption and daytime sleepiness. However, treating sleep apnea can help improve the symptoms of acid reflux. 6. 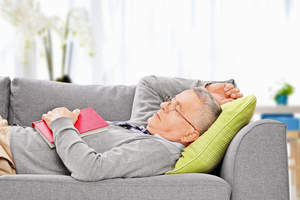 Diabetes - Research shows that up to 83 percent of people with Type 2 diabetes suffer from sleep apnea but are not aware of their sleep disorder. 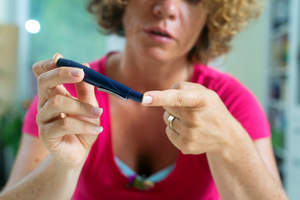 As the severity of sleep apnea increases, glucose control within the body weakens. 7. Stroke - Research shows that untreated obstructive sleep apnea increases the risk for stroke, even without the presence of other risk factors. Obstructive sleep apnea is also frequently found in people who have already suffered a stroke, which contributes to impairment of the brain's recovery.